LINTHICUM, MD, June 17, 2017 — NFM Lending is pleased to announce that it has been ranked a 2017 Top Workplace in the Washington, D.C. area by the Washington Post. This is the third consecutive year that NFM Lending has received this award. NFM Lending received the award at a ceremony held on Friday, June 16, 2017. Since its founding in 1998, NFM Lending has grown from a small mortgage brokerage to a lender with locations throughout the United States, including 6 locations in the D.C. area. “We are thrilled to have made the list of Top Workplaces again. Not only does it provide positive feedback that our employees enjoy where they work, but more importantly, that they feel safe, challenged, and respected,” said David Silverman, CEO. In addition to this most recent award, NFM Lending has been recognized many times for its exceptional company culture. 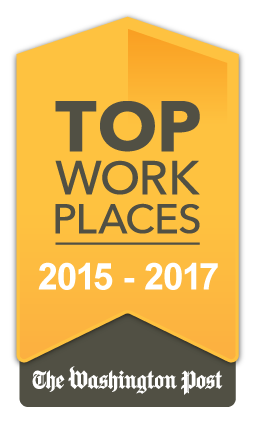 In 2016 alone, it was named one of the Baltimore Sun’s Top Workplaces in the Baltimore area; and one of Mortgage Executive Magazine’s Top 50 Best Companies to Work For. NFM Lending is proud of these accomplishments, and looks forward to another successful year.